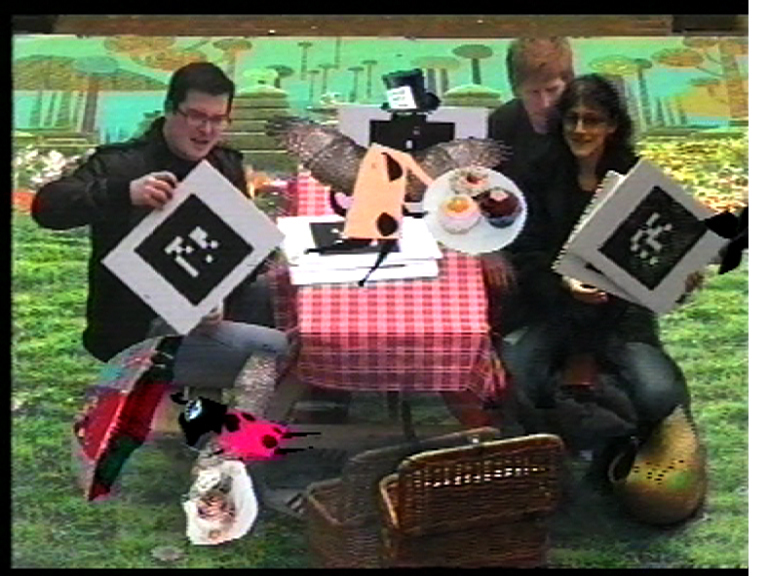 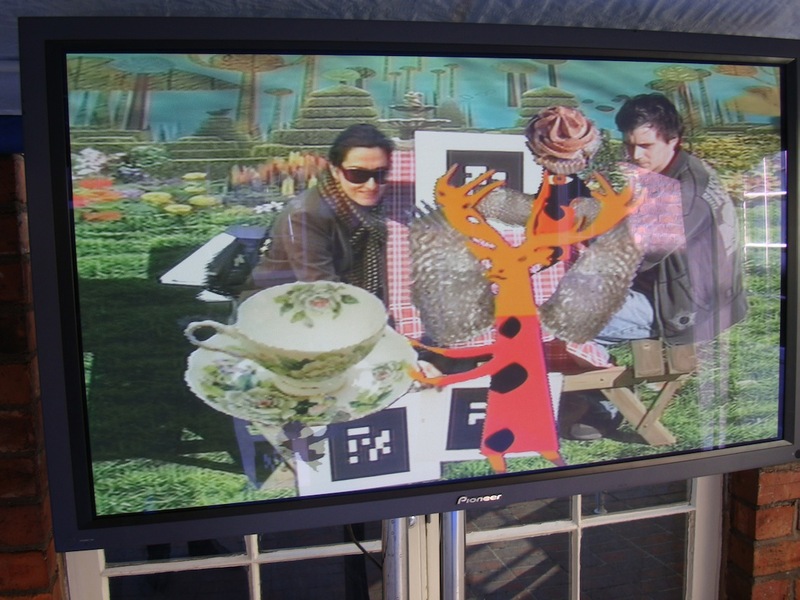 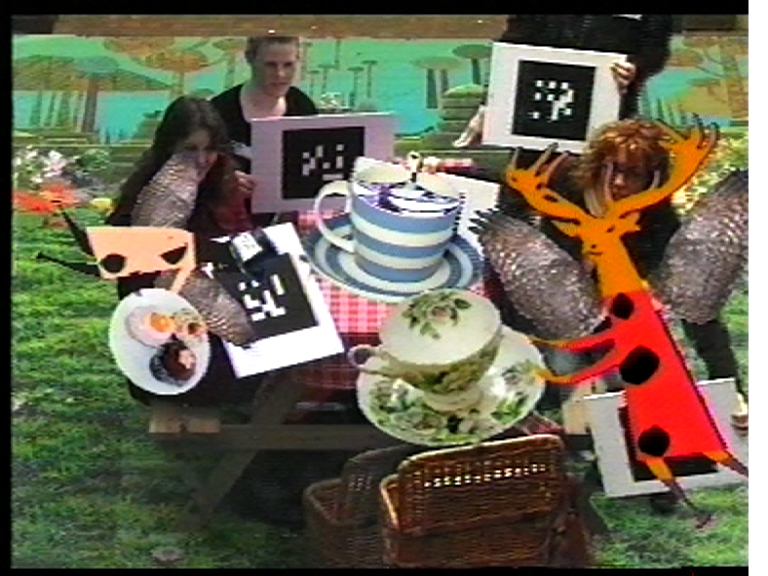 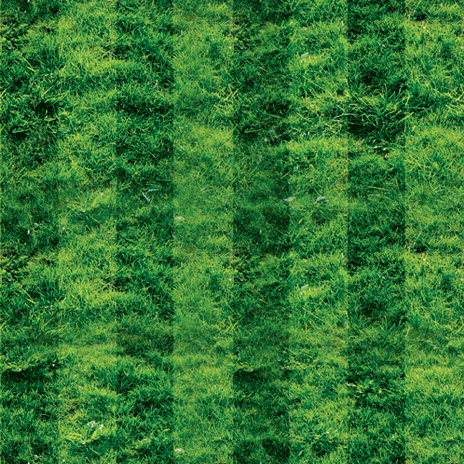 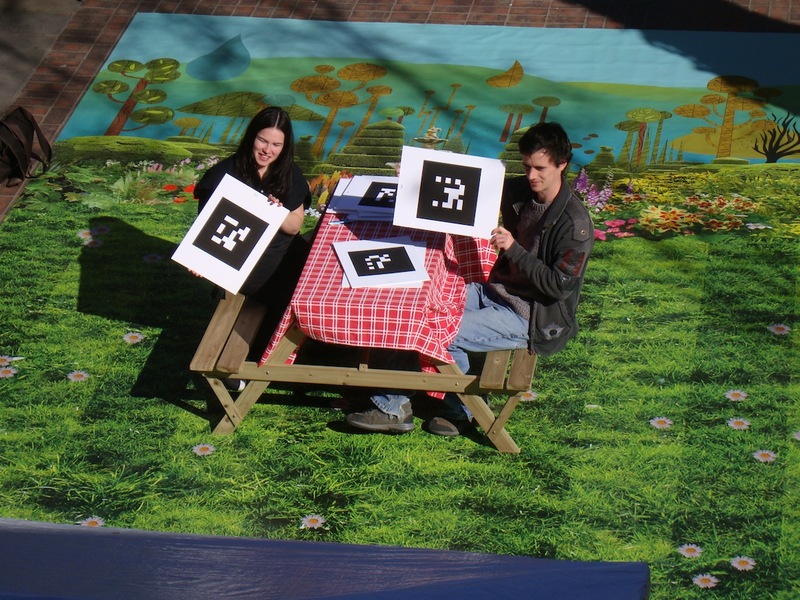 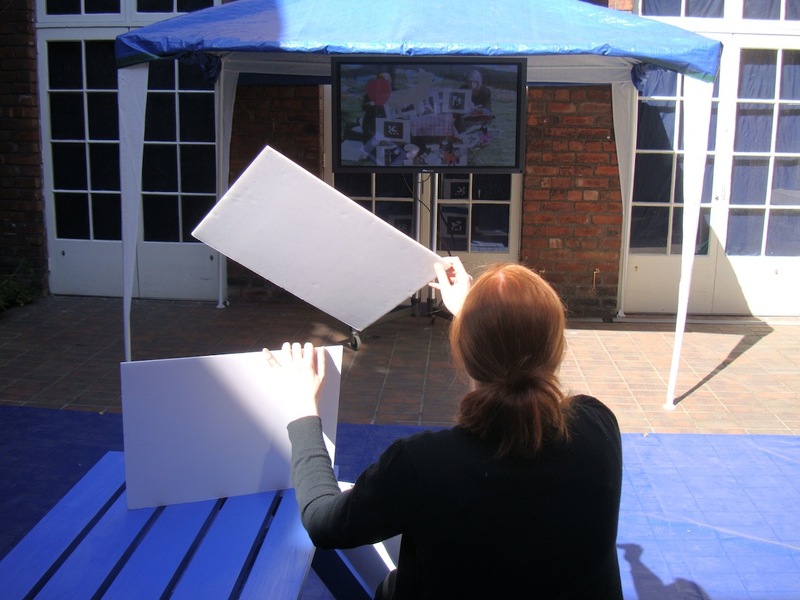 Following the success of ‘Picnic on the Screen’, presented at the Glastonbury Festival 2009, Paul and Charlotte were recently invited to develop a new version of this interactive public video installation for the MOVES10 Media Arts Festival at venues across Liverpool. 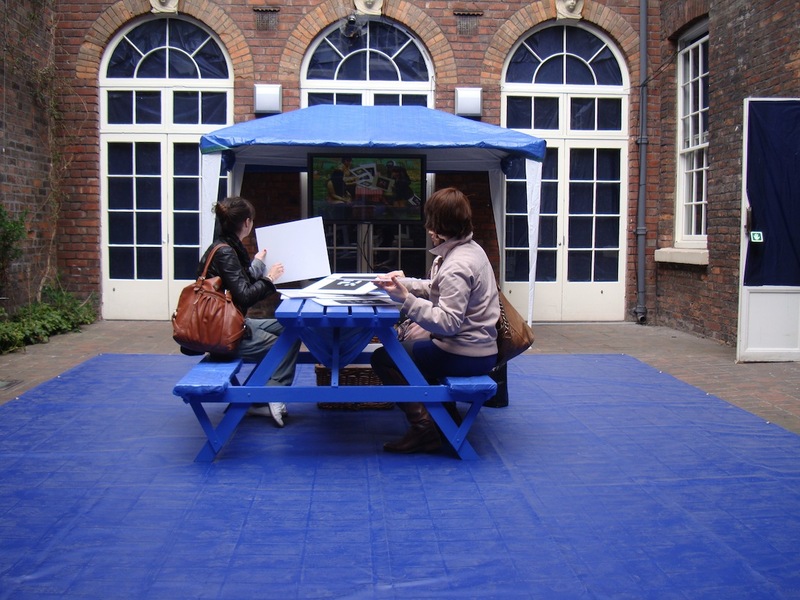 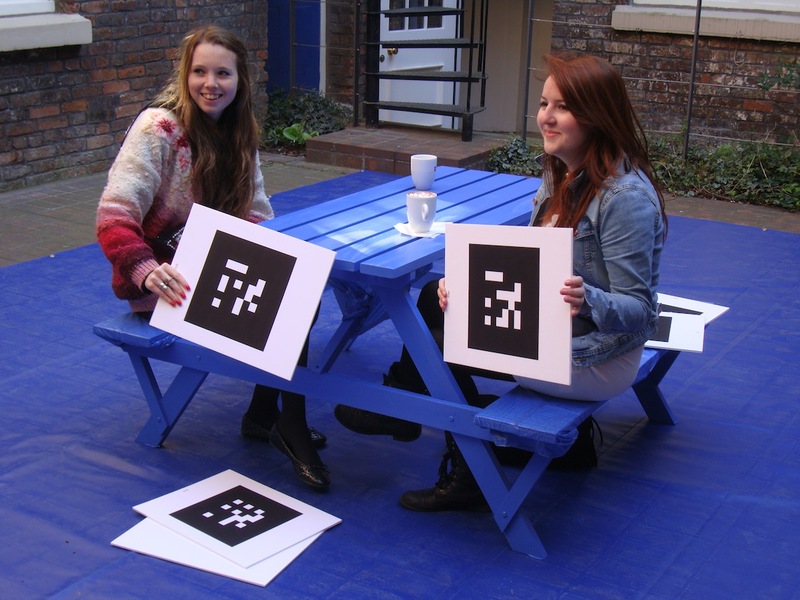 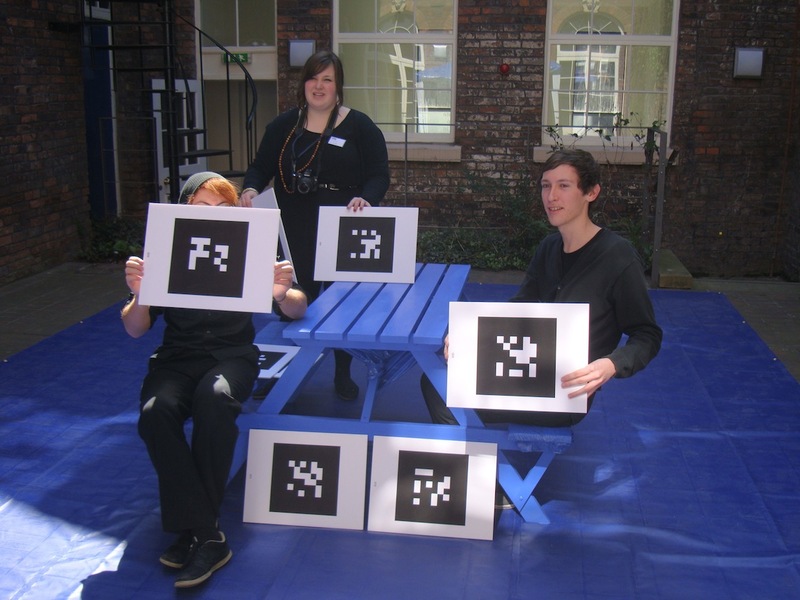 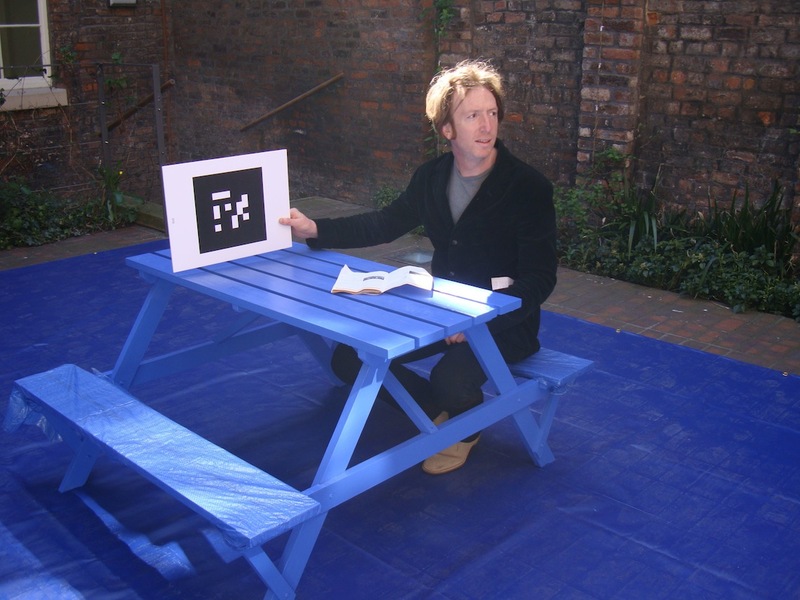 The installation was billed as one of the leading artworks at this year’s Festival, building on the theme of ‘framing motion’ and used to link public audiences between the Bluecoat Gallery Garden and locations in Liverpool, for the first time via a telematic videoconference connection. 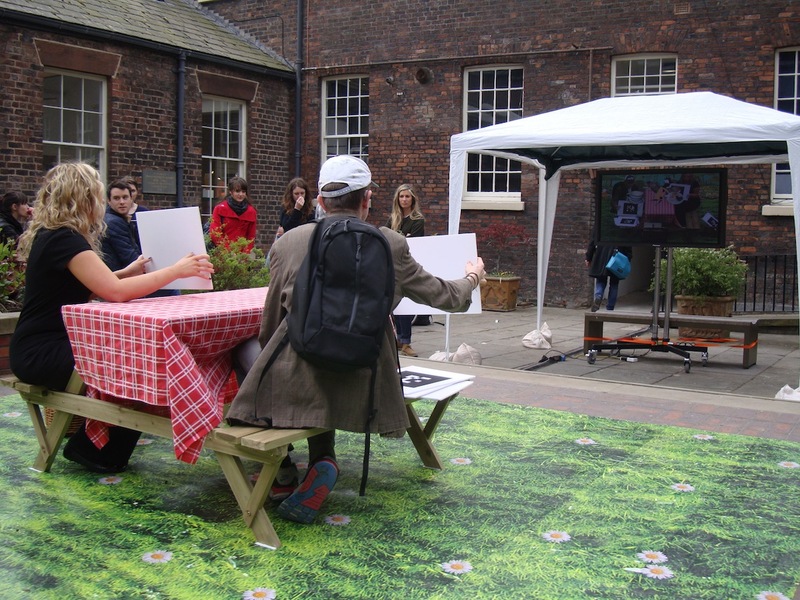 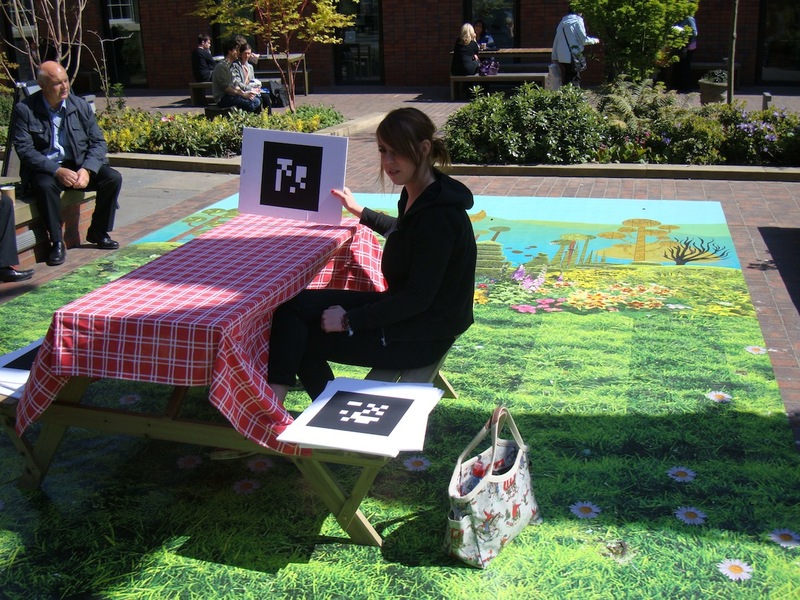 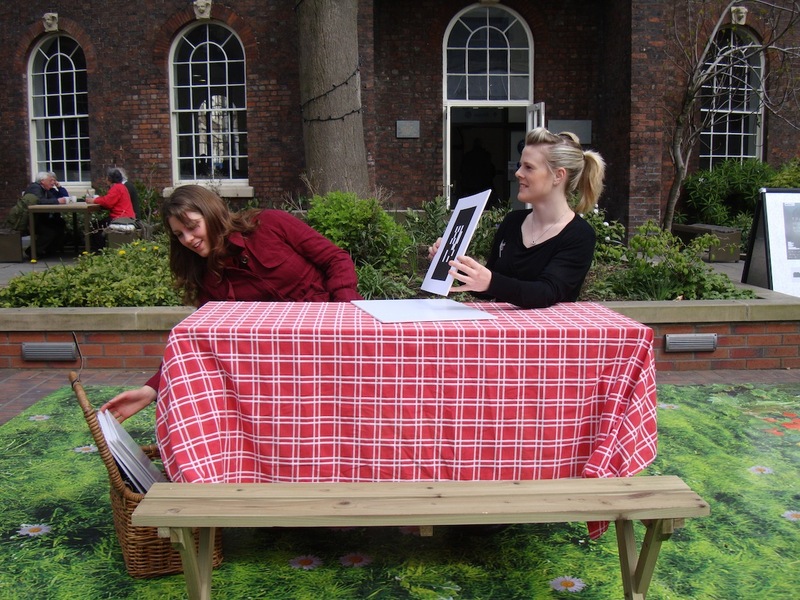 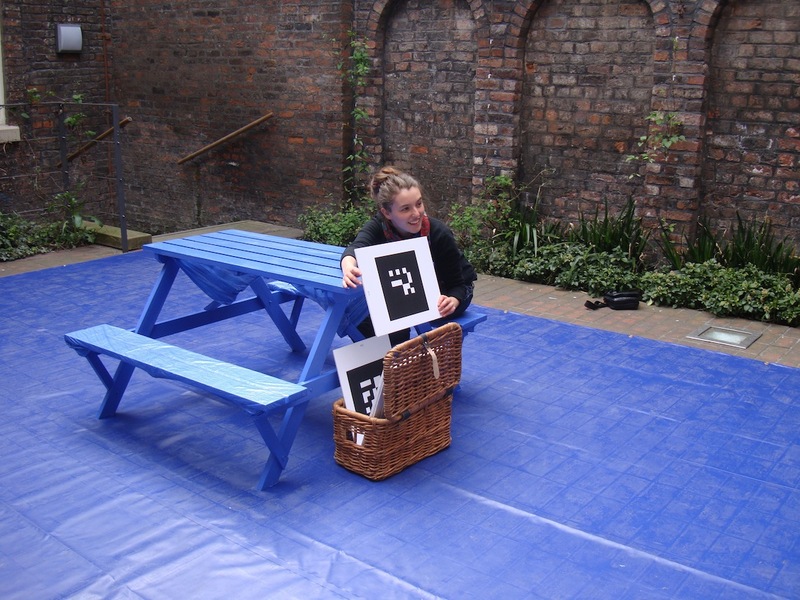 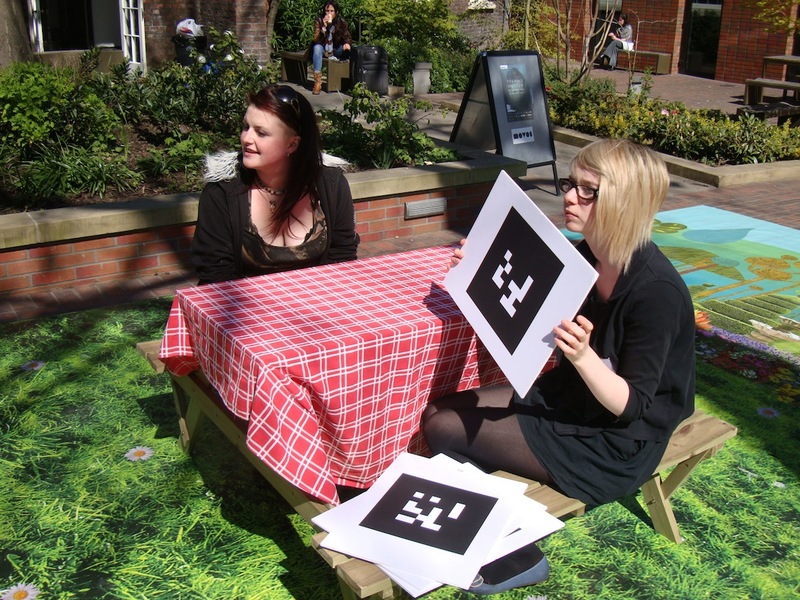 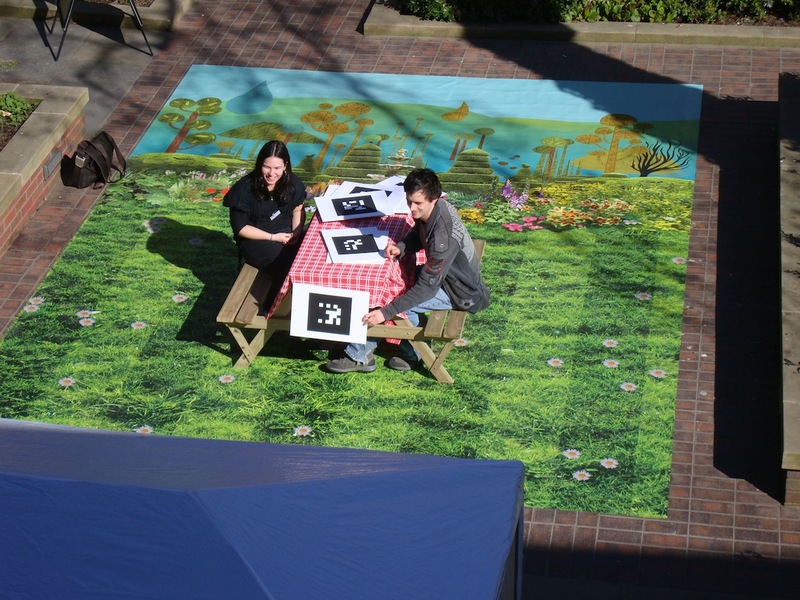 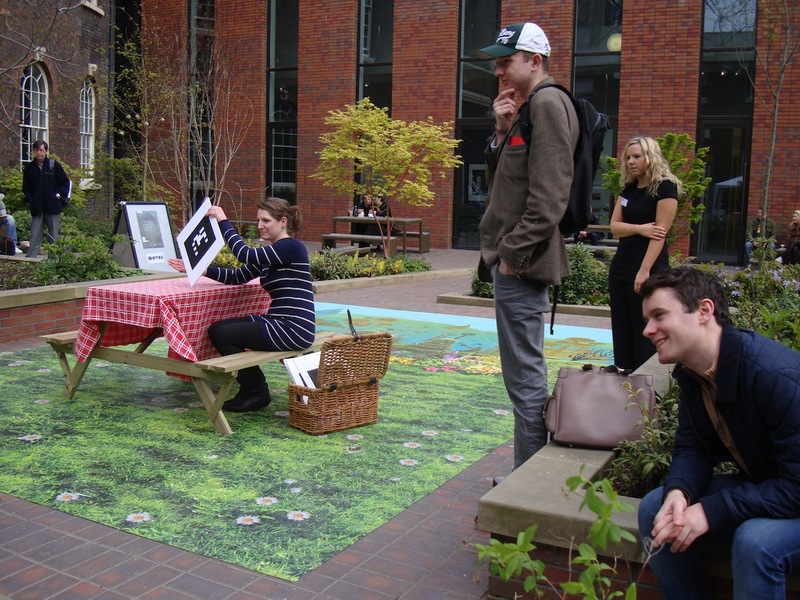 This work was shown in Liverpool town centre, and, simultaneously, in the gardens of the Bluecoat Gallery, allowing the public to engage and interact while simply passing through or relaxing having lunch. 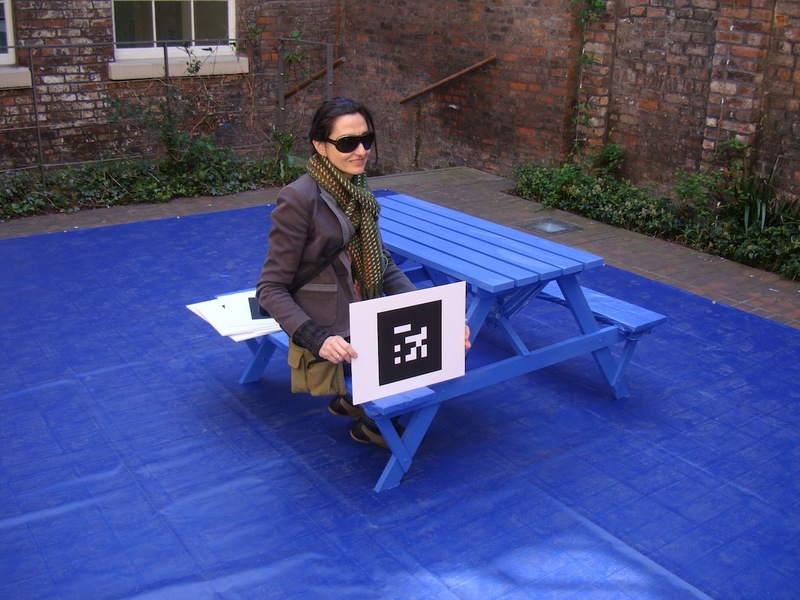 This playful environment merged two public spaces together, creating a third otherworldly space on screen where people interacted with others across the city at a virtual picnic table, allowing the audience to explore alternative networked spaces. 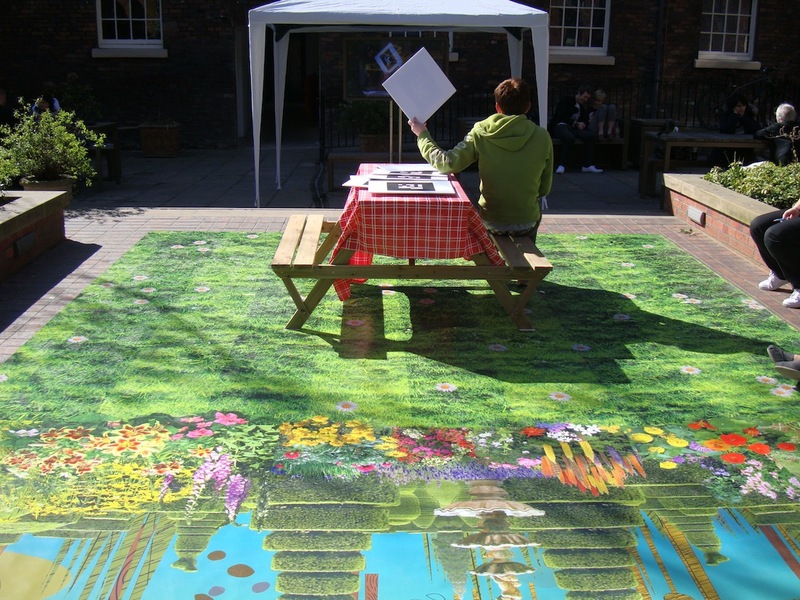 The piece explored the potential for interactive works to engage the public and in this way the audience make a creative contribution to the installation through the development of unique narrative events. 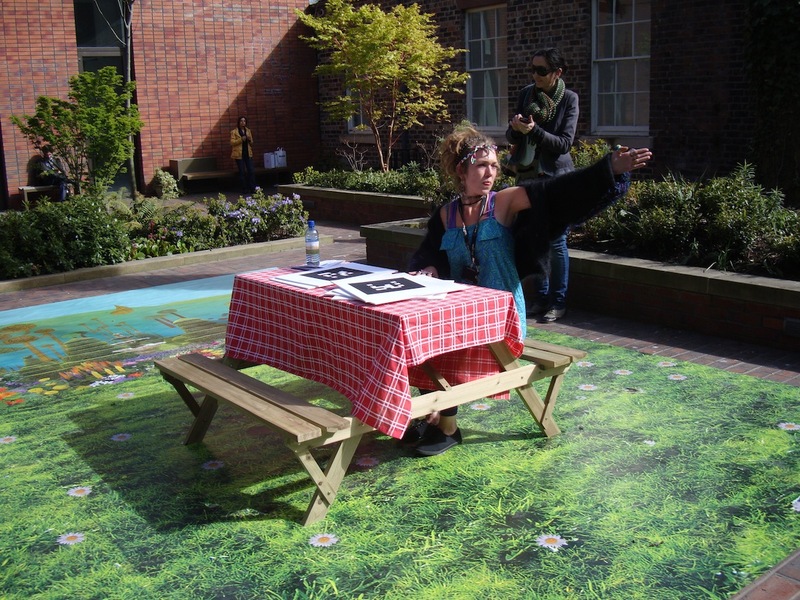 The works encouraged visitors to be playful, interacting with others and the environment in a way that they would not otherwise have done. 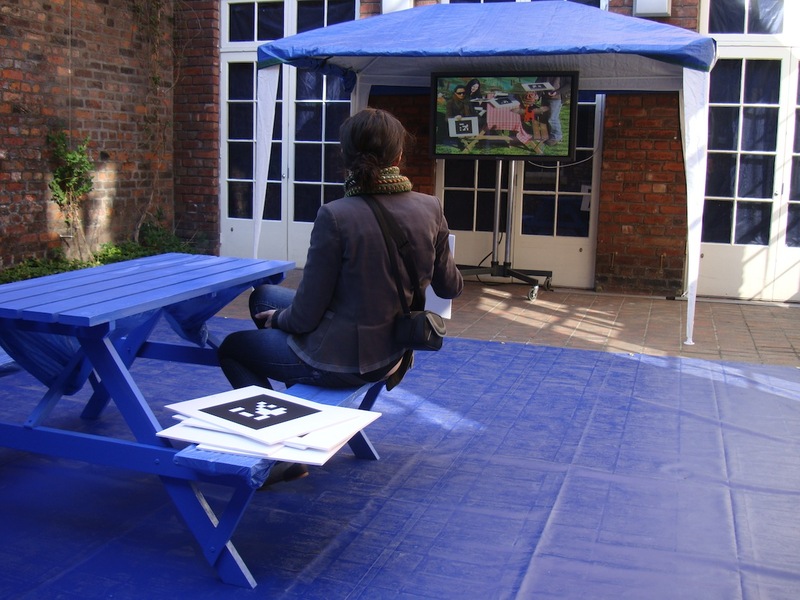 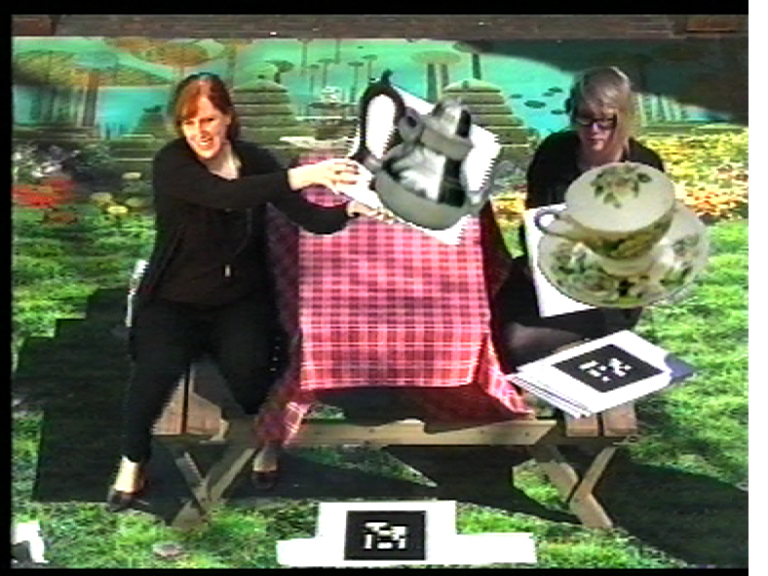 Utilising the latest blue screen and HD videoconferencing technology the installation brought together public participants within a shared telepresent urban picnic scene. 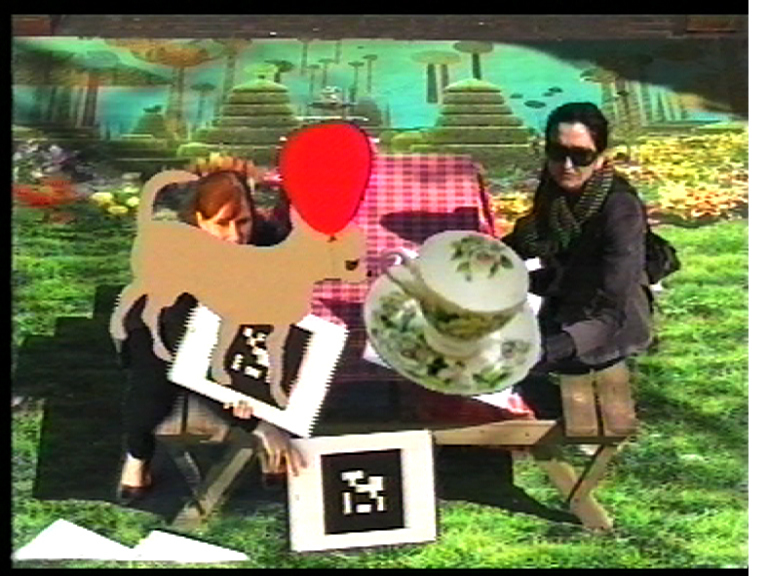 Merging live camera views of remote audiences together and placing them within a computer illustrated environment, together with computer animated elements that are triggered and controlled by the audience through a unique motion tracking interface integrated within the installation. 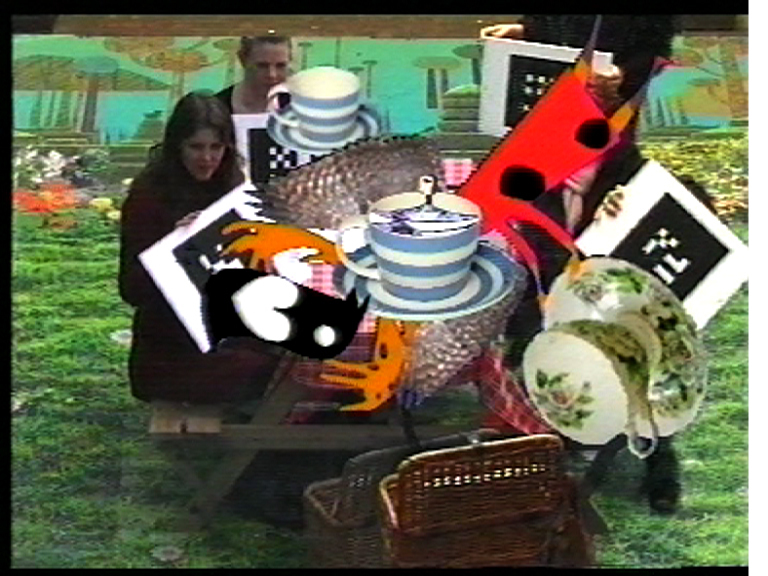 Charlotte and Paul also worked with Alastair Swenson from the School to develop the motion tracking and flash programming in this installation.